Franklin B. Velie practice encompasses a broad range of commercial matters, including securities, products liability, white-collar criminal defense, domestic and international arbitration, employment law, accountants' and auditors' liability, insurance and bankruptcy. Mr. Velie has tried numerous jury and non-jury trials and arbitrations in jurisdictions throughout the United States. 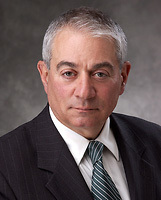 He has served as an arbitrator and mediator on numerous occasions. He served as an Assistant U.S. Attorney for the Southern District of New York, and was Assistant Chief of the Criminal Division of that office.